2 1/2 hour class. Look, Cook & Eat. Join us for a new specialty series showcasing the journey of spices. Once a month we will bring you new and exciting recipes from around the globe sharing the spice story. 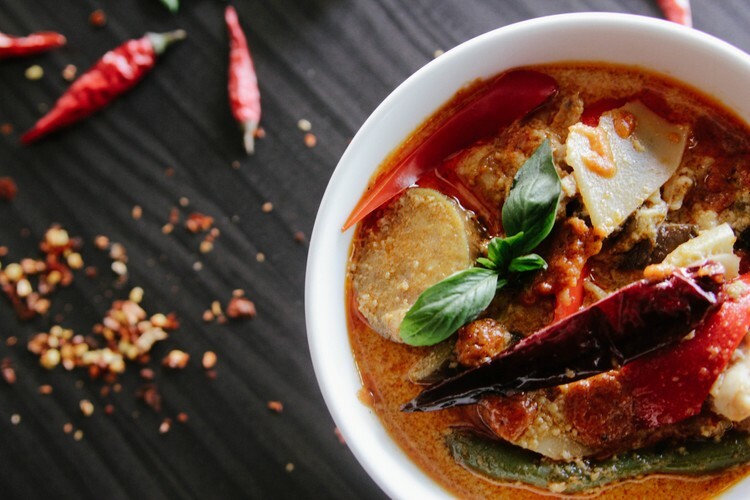 This month we take you through Bali, where Basa gede, a spice paste made from garlic, red chilli peppers, Asian shallots, nutmeg, ginger, turmeric (and more), is the cornerstone of many Balinese dishes. Start the evening off with Prawns in Spicy Sambal Sauce then share Ikan Bake Balinese Chargrilled fish, a charred sweet & spicy fish. $70 per class when you book for 2 or more classes in the spice series** or $80 for a standalone class. (Prices are per person). **Please contact the team at the Seafood School to receive your unique discount code.